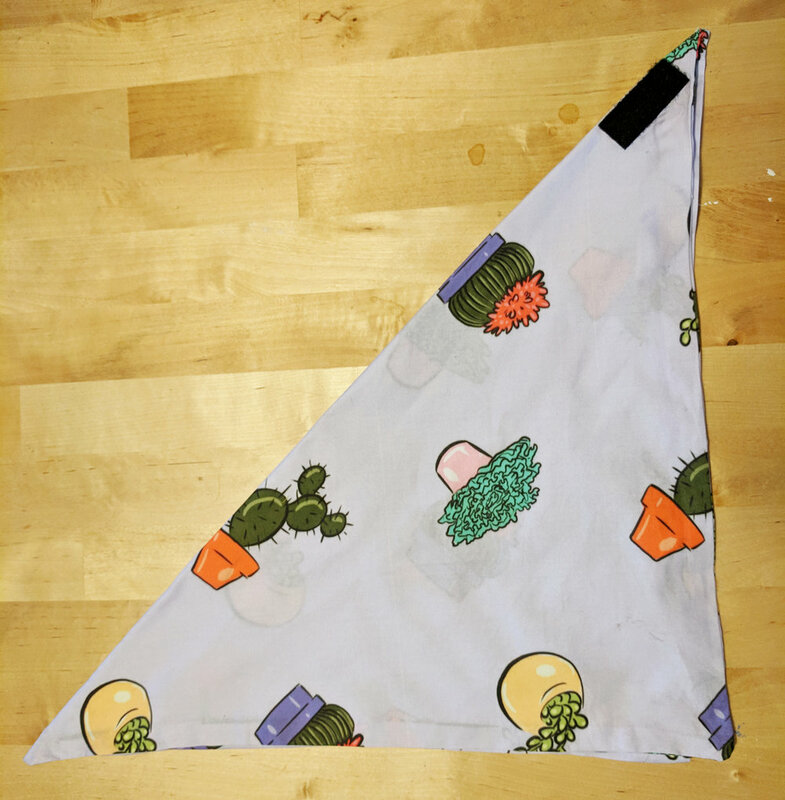 At some point in the past year, I discovered that you can print fabric on a website called spoonflower. I’d been wanting to experiment with the fabrics, but other than a class in high school and a lot of messing around since then, I can only do the most basic sewing, but I can make a lot of simple things. I ordered a yard of my sample pattern just to see how it comes out, and I was really impressed. The fabric is labeled and printed with a large white border so its easy to cut out. I think the hardest part was imagining in my mind what the size would look like in the real world. I think next time I’d like to get a smaller print. I chose to go with what I estimated was a medium size to start and I like it, but I think it works better for larger areas like curtains…which was my plan…. until Biggie ran away with my fabric! So I had to improvise….